Now that the hectic week is almost behind us, here’s are some longer Galaxy Tab ad materials that you can enjoy from the comfort of your sofa this weekend. 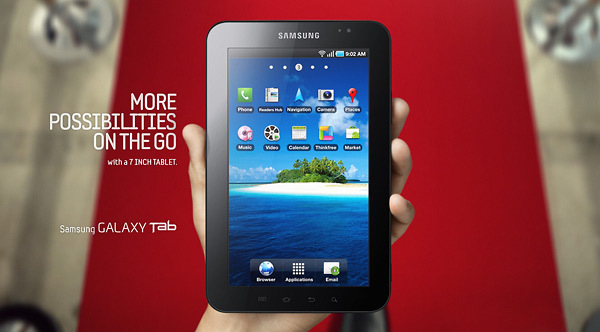 We’ve recorded the following two videos from the Galaxy Tab unveiling event yesterday. We’ve split them in two but combined they make for a total of 10 minutes of high-quality ad material. It’s pretty nice to watch (though if I were directing I would have sped it up a little bit).